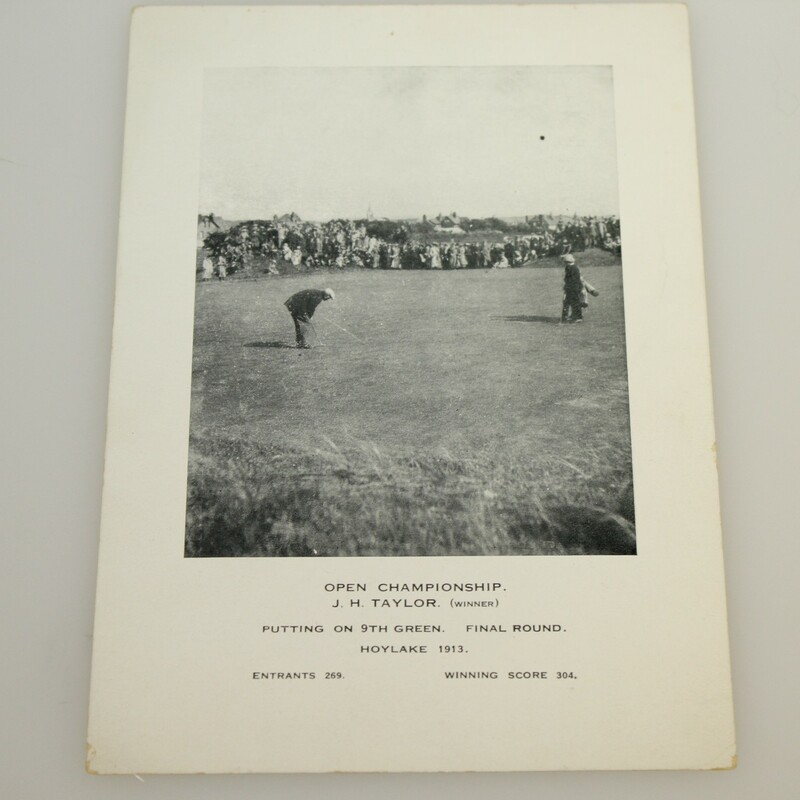 Offered here for bidders is a photo card from the 1913 British Open at Hoylake showing the winner J. H. Taylor. 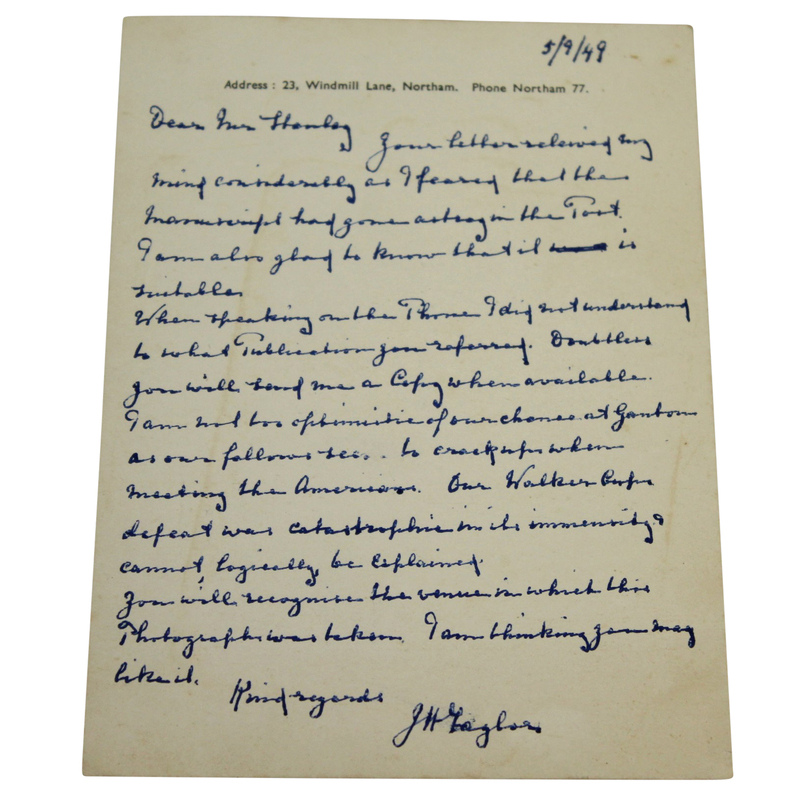 Further heightening this piece is a hand written letter from Taylor on the back in blue ink. 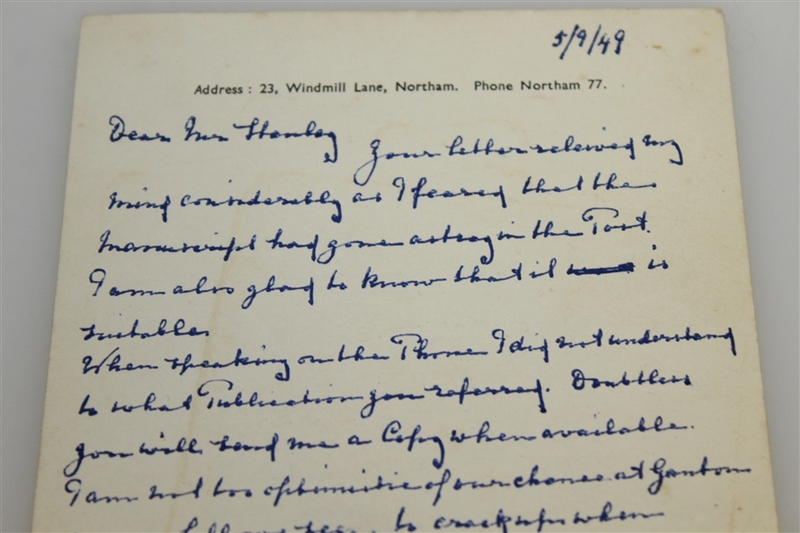 The letter is dated 5/9/49. 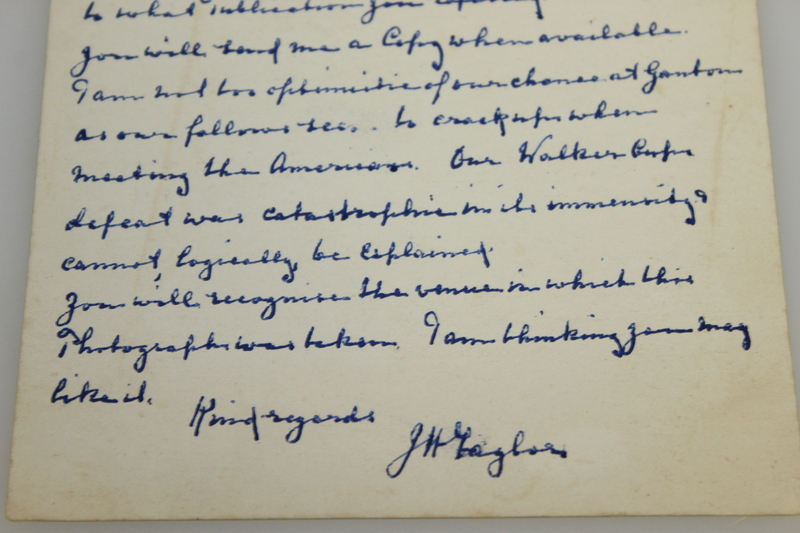 Taylor's flowing penmanship is on full display in this piece. The 1913 British Open saw Taylor win his incredible 5th and final Open Championship title over the defending champion Ted Ray by 8 strokes.